Morton have signed the former Dundee and Queen of the South forward. Striker Colin McMenamin has joined First Division league leaders Greenock Morton after leaving Ross County on a free transfer. The 31-year-old has joined the Cappielow side after a year-and-a-half with the Highland outfit. County boss Derek Adams confirmed that McMenamin had left the club on Thursday. He was deemed surplus to requirements in Dingwall after the signing of German forward Steffen Wohlfarth this week and First Division high-flyers Morton have been linked with McMenamin. 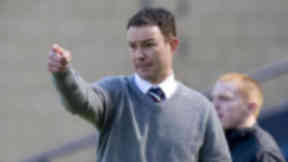 The player tweeted: "Delighted to be joining Morton. Everything signed and sealed and looking forward to training in the morning." The former Queen of the South and Gretna marksman helped fire the Staggies to promotion last season, finding the net 20 times in their title-winning campaign. He notched just one goal in the SPL, the winning strike in a 3-2 victory over Hibernian in October. McMenamin started his career as a youth with Newcastle United but made his mark north of the border with Livingston, where he played from 2002 to 2005. 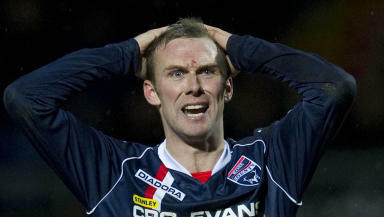 He has also played at Falkirk, Shrewsbury Town and Dundee.